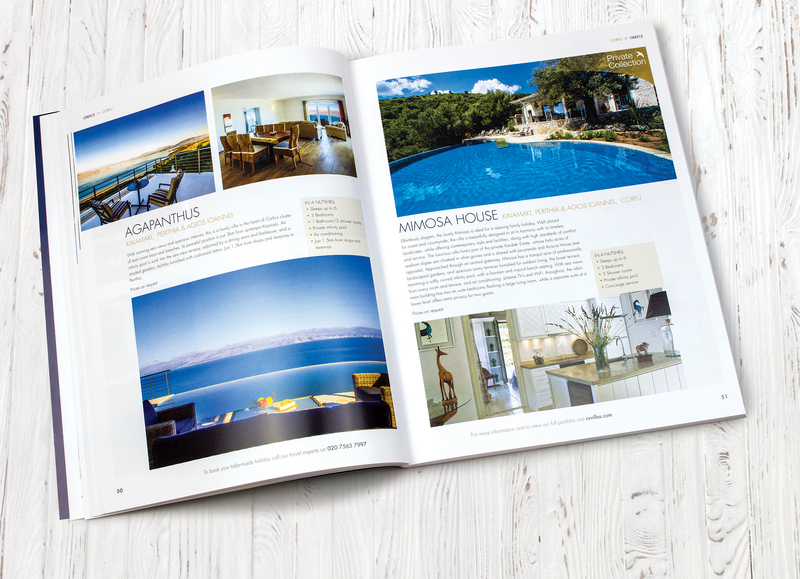 CV Villas are part of the Kuoni Travel Group and offer high quality properties in many locations worldwide. They have an enviable reputation with their competitors and are seen as leading the way in their market. 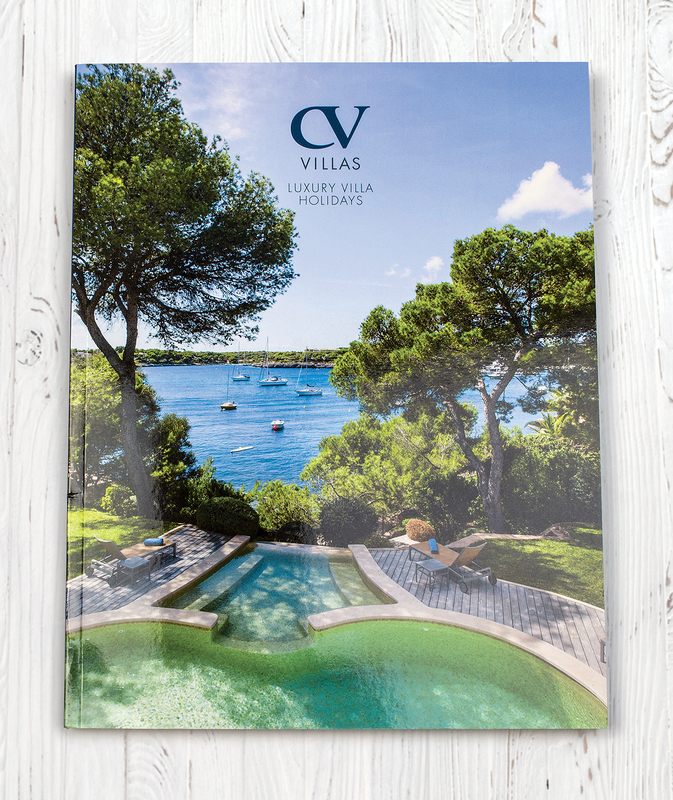 They have been established for over 40 years and their customers are incredibly loyal, seeing CV Villas as their only source of high quality holiday accommodation. 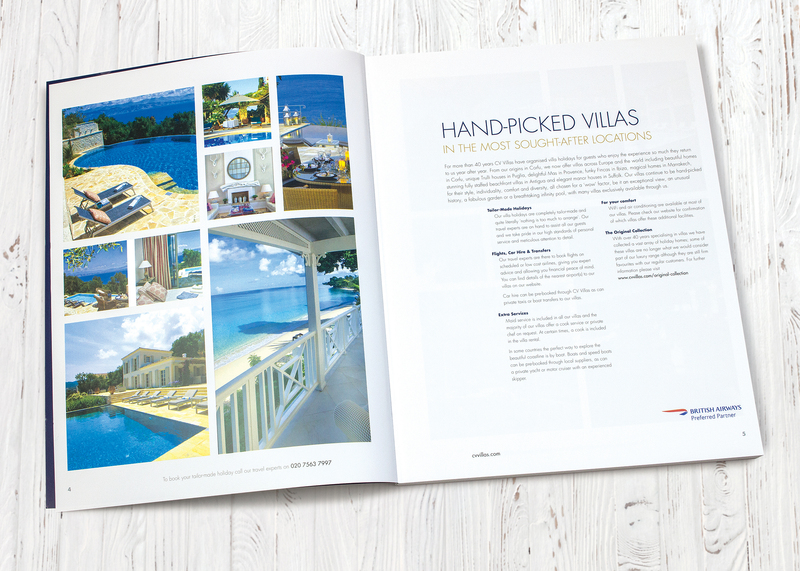 Whilst their website offers the full range of properties on offer, ongoing yearly research identified that their customers prefer to choose their initial destination and property via a printed piece, often then going online to gain further information. 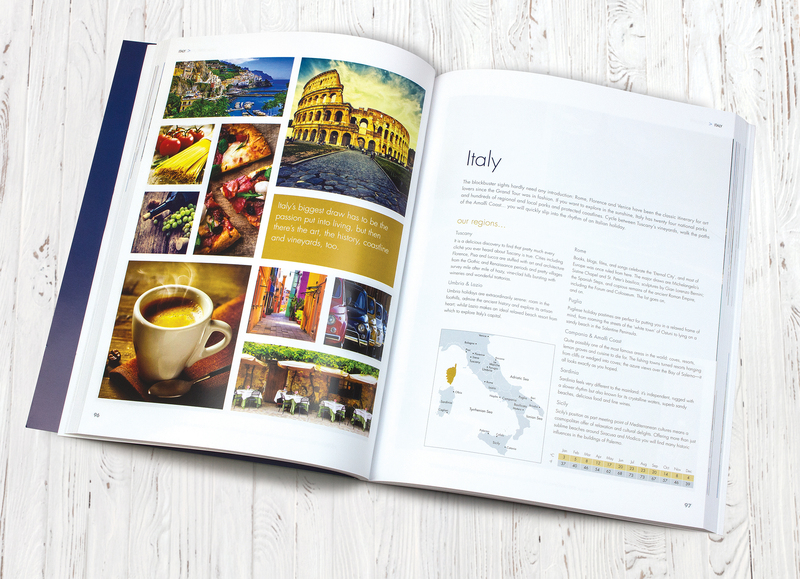 This is driven by the age range and demographic of their customers – often older, affluent and who like the ‘touch and feel’ of the brochure format. Vertigo Design was therefore approached to design and produce the flagship piece due to our extensive experience within the travel industry. The look and feel devised would then be applied in general to the website allowing flexibility in approach to ensure the website’s functionality wasn’t compromised. Design style should be set for a slightly older demographic with readability of text being important and overall style being classic and unfussy. After initial discussions we produced a number of design solutions. These showed how differing fonts and layout impacted on readability. Different colour options were shown, again to show impact on tone. 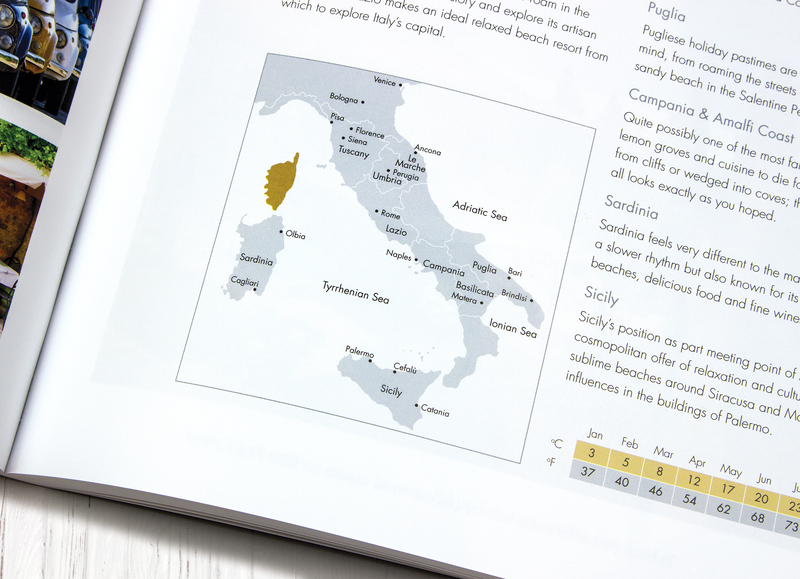 Careful consideration was made to creating a number of page structures that could be used when dealing with set numbers of properties per page across the 216 page brochure. Images used set a mood for the destination rather than focussing on people shots. Images varied enormously – some coming from professional photographers and some coming from property owners. Continuity of colour became an obvious challenge and careful Photoshop colour correcting was required on most images to maintain a continuous colour balance. © 1997 – 2018. Vertigo Design Ltd.